Summary: This is anime adaptation of six famous Japanese literatures. Manga artists of Bleach, Prince of Tennis, Death Note are all involved in this anime's production. Personal comments: Anime adaptation of classic literature is always intriguing, especially when famous artists are among those whe are involved in the production. This could be very interesting. ....but afer seeing the anime, all i could say was "...hmmm...er...yea"
and where is te story going? Personally, I love freaky stories. So it fits my taste very well. I've never read any classic Japanese literature, so I couldn't relate to any of them. I guess people who grew up with literature would appreciate it a lot more then we outsiders do. 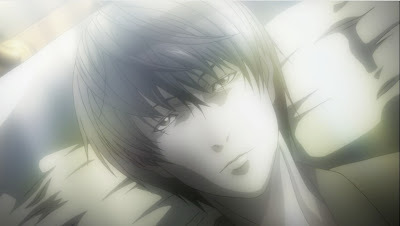 The main character looked like Light from death note probably because this arc is done by the author of death note.